When leaving the house for a bit, it can be hard to trust the wellbeing of your child with a sitter whom you may not know well. Feeling confident to leave your daughter or son in someone else’s care can be even more difficult when your child has specific care considerations. We found an awesome guide that can help you and prepare your sitter to give your child with T1D the best possible, most knowledgeable care while you are away. SmartSitters covers essential information about T1D to help families and sitters manage T1D together, wherever they are. The SmartSitters guide includes a wealth of information, comprehensively covering details on defining diabetes, understanding insulin basics, monitoring glucose, and using an emergency glucagon kit. The guide is easy-to-read and has great pictures - definitely worth checking out! A few weeks ago, when Healthy Living attended the JDRF TypeOneNation Summit in Belleville, our team members chose different breakout sessions to attend. We all learned a lot, and I want to take some time to pool our knowledge and share it with you! Our Insulin Pump & CGM Therapy team attended a workshop that went in depth on insulin pump therapy, presented by Dr. Lowell Schmeltz. Here are some of the things that Crystal and George learned from the course. Insulin pumps include many advanced features and functions that patients searching for tighter control of their diabetes can utilize. These optional features can make pumping more complicated, but if used correctly can greatly improve the results of pump therapy. 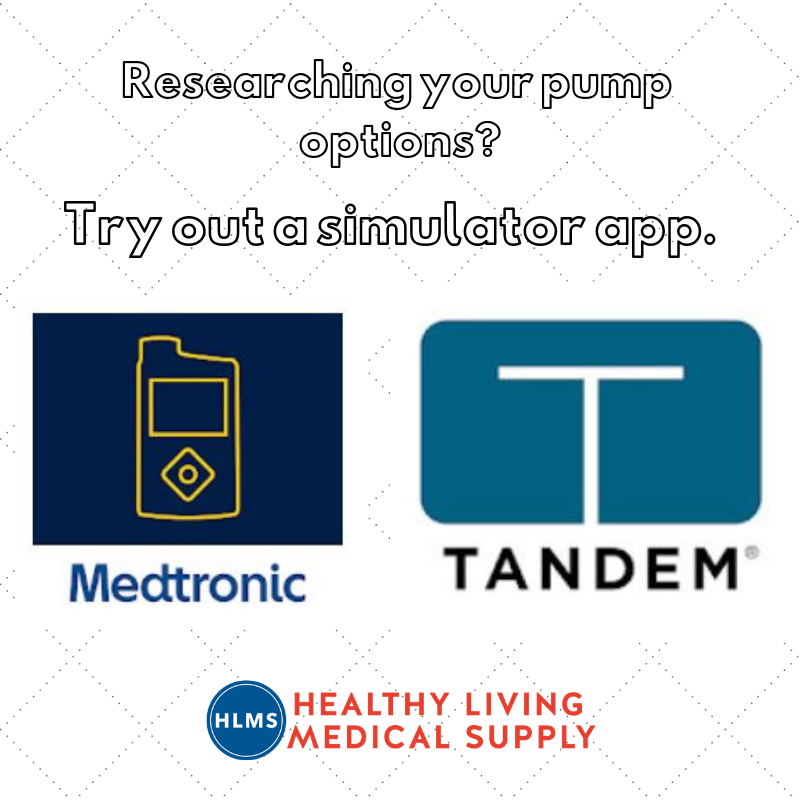 One example is that some pumps offer is a dual-wave bolus, which contains a normal bolus as well as a second wave of insulin that is delivered over time. This is especially beneficial when eating foods that are high in fat and carbs, like pizza. Pump users and caregivers need to remember a lot of information and continually go through a number of steps to maintain control with their insulin pumps. 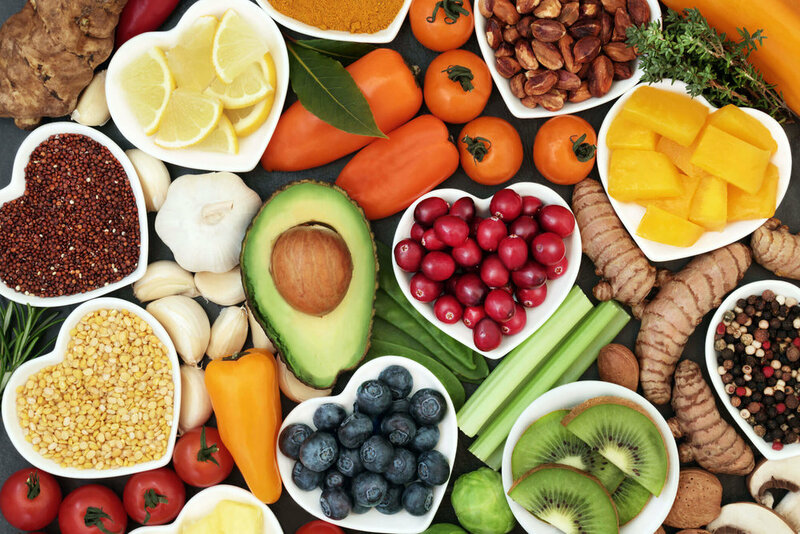 Dr. Schmeltz explained that the biggest issue that comes up for individuals using the pump goes back to the basics – entering their carbs for meals. He believes that people should read packages and measure their food for accurate carb counting (instead of estimates and guesses). Dr. Schmeltz really engaged with attendees and had a great way of simplifying complicated concepts to make pump users feel comfortable with the idea of trying new things. One more of his recommendations was for patients to download their pump data between physician visits so their doctor can review their status at appointment time and make any necessary changes to their regimen. We also were excited to learn about some of the new pump technology that is being tested, including the artificial pancreas. This new technology is much closer to being available to patients than many of us realized! Many people have come to know the benefits of the Omnipod. This community of “Podders” appreciate many really awesome features that make the Omnipod tubeless insulin pump different. The Omnipod is waterproof (and sweat-proof), for showering, bathing, swimming, surfing, or dancing in the rain. Because of this, there is never a need to disconnect from the pump. Omnipod’s waterproof qualities also mean that it’s a great pump for active people – adults and kids alike! This pump truly offers continuous insulin delivery with three days of nonstop insulin with no need to disconnect. The small, lightweight (weights just 25 grams with an empty reservoir) Omnipod insulin pumps are tubeless, and they can attach to your body at any place where you could inject insulin. This means you can be as discreet as you want to be with your pump insertion site. Plus, there are no tubes to tangle! With the Omnipod, you will not be tied to an injection schedule or tethered to an insulin pump. The system is made up of two parts: the tubeless Pod and the Personal Diabetes Manager (PDM), kept nearby to wirelessly program insulin delivery. The PDM has a built-in FreeStyle blood glucose monitor, and the Omnipod can be used with any CGM system. It has an uncomplicated needle insertion process – the cannula inserts hands-free, and you never have to see the needle. The Omnipod is cleared for people of all ages who have diabetes and use insulin…including children and teens. Reach out to our Insulin Pump & CGM Therapy Team for more information, or to start the process of obtaining an Omnipod pump. They will verify your insurance to find out if it’s covered for you. Call 866.779.8512 (Option 2), text us at 248.577.9903, or chat with us at myhlms.com. Healthy Living meeting with the V-Go rep. This past week, Healthy Living employees had the opportunity to hear from a few company representatives about the V-Go product. V-Go has been around since 2012, however not many providers and patients are aware of its capabilities for improving patient adherence and outcomes. The company representatives gave us a better understanding of the V-Go system so we can more effectively support customers considering V-Go as a treatment and therapy option. A few weeks back, Emily wrote about the V-Go on our blog and since then we have been growing our knowledge on this new technology daily. According to Emily’s post, the V-Go provides a steady rate of insulin 24 hours a day (basal). It allows patients to give themselves a dose of insulin with snacks and during mealtimes (bolus). The V-Go is for adult patients and despite the confusion, the V-Go is not an insulin pump. For individuals who are constantly on the go and do not want the bother of multiple daily injections, the V-Go may be an excellent option. The V-Go allows the user to load insulin into the device for a rapid-onset dose of insulin. The device is wearable, discreet, and disposable, however it does need to be changed every 24 hours with a new, insulin-filled, V-Go device. The V-Go is extremely versatile as it can be worn when showering and sleeping. How Can I Start V-Go?! Even though the V-Go is not known to many people, it can be a positive substitute for other therapies and injections. Here at Healthy Living, we can verify your insurance and collect all of the necessary documentation needed to receive the V-Go as a medical or pharmacy benefit. There is a process to apply for the V-Go, and the coverage is dependent on your insurance company. With most commercial plans that Healthy Living Medical Supply works with, just a prescription is required from your doctor. However, some plans do require authorization. For plans that need authorization, criteria may include a patient’s qualifying blood work and lab work, tracked by the patient and the doctor. The authorization process takes about two weeks, however the length of time depends on the type of insurance. George K., one of Healthy Living’s customer care representatives, sat down with me to chat about his experience with setting customers up with the V-Go. He said that he has seen an increased interest in the product, and customers who do choose the V-Go usually tend to stay with it. Some studies have shown that multiple daily injections create challenges for patient adherence. Kris Euler, the V-Go company representative who spoke with Healthy Living employees said, “75% of people do not inject insulin away from home - V-Go increases the chance for people to perform their shots while they are outside of their home." With V-Go, the patient can receive their insulin hassle-free with a simple click of a button. It is known for its overall ease of use. If you have any other questions about the V-Go and all its benefits, please do not hesitate to contact our Customer Care team at Healthy Living at (866)779-8512. We strive to provide you with the highest standard of service and want to increase your knowledge about different therapy options to help you manage your diabetes the best way possible. A view of the Lilly Glucagon app in the App Store. Lilly Glucagon is designed to treat patients with diabetes and severe hypoglycemia. Do you have a Glucagon kit at home, and do you and your loved ones know how to use it? You can get a white teaching kit from Lilly by calling (800)LILLY-RX. And to learn more, you could try the mightily helpful Glucagon phone app, simply called “Glucagon.” You can use this app to go through a practice simulation of using Glucagon in an emergency, including how to mix (swirl) the powder and liquid and where to inject (thigh, arm, or buttocks). Most importantly, there is a special section with instructions for an actual emergency, with animated pictures and audio directions. The Glucagon app also has a section about “My Kit Information” to help you track where you are keeping your kit(s) in the house and when they expire. There is a function to set reminders to make sure you update your Glucagon kit before passing the expiration date. Glucagon is covered by most insurance companies, but it's different for each. It also requires a doctor's prescription. If you are interested in obtaining a Glucagon kit, call Healthy Living Pharmacy at (866)779-8512 (Option 4). Our pharmacy team can help you get set up, including calling the doctor to request a prescription on your behalf. You can also send us your written prescription, or we can transfer your script from another pharmacy if that would be helpful to you. If you are living with Type 1 or Type 2 diabetes, Continuous Glucose Monitoring (CGM) can help you make more informed treatment decisions that can lead to better glycemic control. 2. Can I set a ‘safe range’ for my blood glucose readings? You can set thresholds for high and low numbers, and the CGM will alert you when it senses your glucose levels have moved out of the range you set. 3. Do I still have to test my blood sugar when I am using CGM? With CGM, to calibrate the sensor, you will still have to test your blood sugar 2-4 times per day, depending on the CGM system you have. 4. What parts make up a CGM system? 5. Do I need an insulin pump to use CGM? No – although some CGM systems can tie in with a pump, CGM can be used independently. 6. What types of CGM systems are available right now? Medtronic and Dexcom both offer CGM systems with different features. 7. How long can I wear CGM sensors before I need to change them? You can wear sensors for 5-7 days, depending on which CGM system you are using. 8. Can I use the same insertion site for my insulin pump and CGM sensors? No, CGM and an insulin pump require two different sites. 9. Can parents and other care team members access a patient’s CGM data? Yes, certain models of CGM systems are compatible with the iPhone to allow care team members to remotely monitor CGM data via text alerts and/or an iPhone app. This can be especially helpful to parents who have children with diabetes, as they can monitor their blood sugar levels from afar (for example, the daughter is at school and her dad is at work). 10. Can I view CGM data on a smartwatch? Yes, Dexcom G5 will display CGM on an Apple Watch. Visit Dexcom's Apple Watch page to learn more. 11. Is CGM covered by insurance? You can reach George and Crystal on the Healthy Living Insulin Pump & CGM Therapy Team at (866)779-8512 (Option 2) and learn more about CGM and the systems we offer at myhlms.com/cgm.